Car will be for street and HPDE and eventual time attack. I'm mostly keeping the factory harness but upgrading to EFI. The engine harness normally routes from passenger side up to the strut tower then across to the front side of the engine. Is there a reason it crosses there? 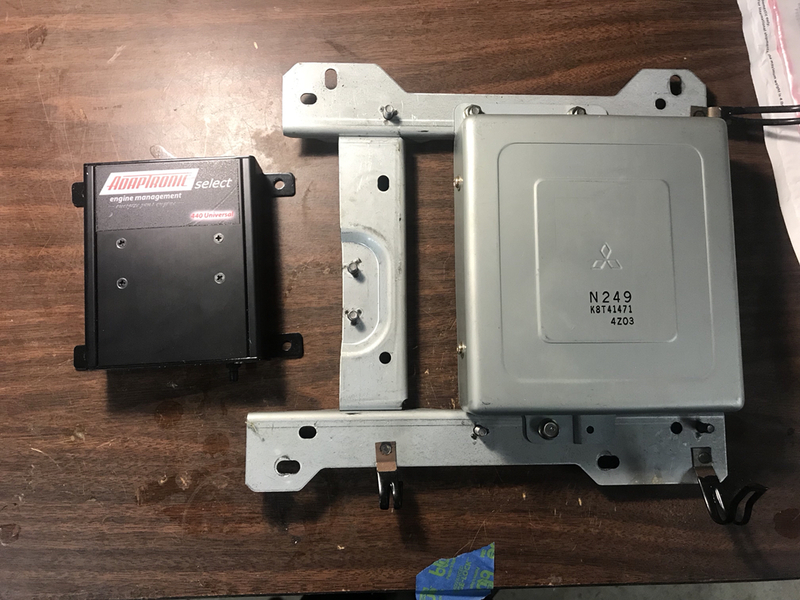 Can I route my new harness across the firewall, assuming I am shielding it with insultherm techflex? I'd like things to be tidy, but serviceable and functional. I'm not interested in a full wire tuck...as I don't want to cut additional holes in the chassis or firewall...but since I am building a whole new engine harness from scratch I want to do it right. 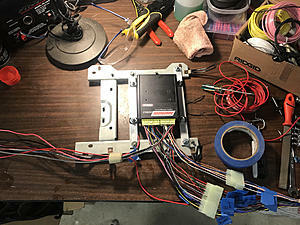 The reason it takes that path is most likely to reduce redundancy when assembling harness intended for the RHD market, ie to keep as many wires as possible in common with the RHD harness to reduce costs. Many of the wires also have to pass to the relays on the left hand (drivers side) as the relays are in a common location on both LHD and RHD cars. On the RHD version, the engine harness comes out the left hand (passenger) side, as that is where the ECU is, and take a much more direct path, as the relays are already on that side. If it helps, I can scan you the part of the wiring diagram that shows this - just let me know. The other possible explanation is to keep the wires a little further from the exhaust than might otherwise be the case. LHD doesn't have this problem as the engine harness comes out of the 'cold' side of the engine. Since you're starting from scratch, I would have wires come out of the firewall close to the engine, potentially using an existing grommet if you (understandably) do not want to cut any holes) - easy if you've taken out the heater for example. Otherwise you can have the harness come out of the factory location then run along the firewall to keep it away from the exhaust. Ok, I didn't think of the LHD/RHD differences. I'll tuck it tightly against the firewall above the heater hoses and then drop down unless I decide to drill a new hole. the 79-83 LHD cars had a very similar wiring route to the RHD cars, but when they added the beehive cooler, it caused problems, so for 84-85 they ran the wiring to the other side. it probably also had something to do with the GSL-SE efi setup. Thanks for the help guys. The ECU is an Adaptronic Select 440d, so mounting in the engine bay isn't really an option. Plus, it's gonna tuck into the factory emissions computer spot quite nicely. I'm actually going to reuse the old computer harness to get to the engine bay. Wires are in great shape since this car was barely driven and stored in a garage it's whole life. Only stuff not going through the factory harness are power wires and coil trigger wires since those will all be routed to the other side of the engine bay...oh, and the shielded crank angle sensor trigger wire bundle is going to get snaked through the original boot so I don't have to cut it. 1st Gen newbie, 2nd gen 13b on 1st gen? Engine Harness Routing - over or under fuel lines?